Michael Zgurovsky is the Rector of National Technical University of Ukraine Kiev Polytechnic Institute since 1992. Michael Zgurovsky was born on January 30, 1950 in Scala-Podilska in. He studied at the College of Control Systems of Kiev Polytechnic Institute, and graduated from Kiev Polytechnic Institute in 1975. Michael Zgurovsky is the Doctor of Technical Sciences, Academician of the National Academy of Sciences of Ukraine and Academician of the Academy of Sciences of Russian Federation. During 1994-1999 Michael Zgurovsky was the Minister of Education of Ukraine. Michael Zgurovsky is the Director of the Institute for Applied System Analysis of the National Academy of Sciences of Ukraine and Ministry of Education and Science of Ukraine. Among his scientific interests are sustainable development, system analysis, decision making under uncertainty conditions, and analysis and modeling of complex systems of various nature. Michael Zgurovsky is an author of more that 300 scientific publications, including 22 books published in different countries. He has made 25 inventions. Michael Zaharovich Zgurovsky is the President of the Association of Rectors of Technical Universities of Ukraine. 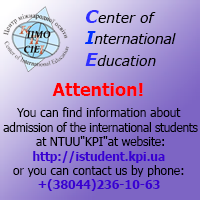 He is a Member of the Academies of Science of many countries, and many international educational institutions, Senior Member of IEEE, Member of the Governing Board of UNESCO Institute for Information Technologies in Education (Moscow, Russia), the National Representative of Ukraine in CODATA, Member of EDNES, National Representative of Ukraine in ICSU.